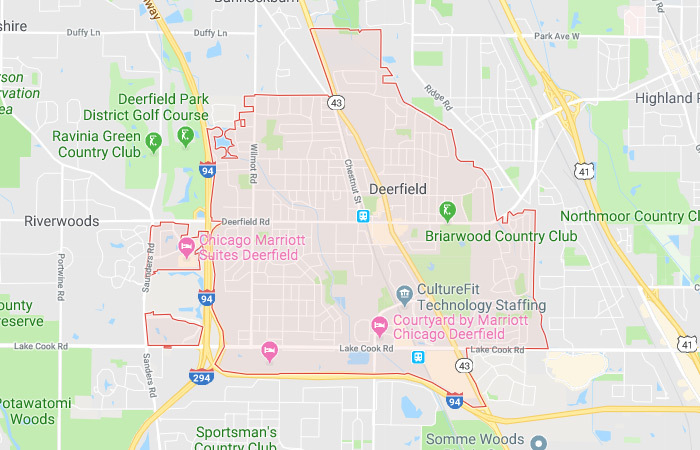 CultureFit has successfully partnered with leading technology organizations in Deerfield, Illinois to help them fill technology positions and grow their IT teams. With a thriving business community, there’s plenty of technology opportunities for talented professionals looking for a great career, but finding the right candidates for your team is challenging. CultureFit is conveniently located in Deerfield to partner with you in finding the right people for your open positions. We match candidates based on the culture of your organization — not the singular role. We believe in the value and power of culture over experience and other common focuses like compensation. That’s because a strong culture is what makes work enjoyable, meaningful, and rewarding for employees. Compensation and other benefits are important, but if people aren’t happy coming to work, they quickly lose their passion and drive. Our staffing services are designed to help you find the right talent for your culture. We’ll work closely with you to develop a plan to target the right candidates based on the unique values of your business. This ensures that not only do you get experienced candidates, but you also get people who believe in what you do. CultureFit Technology is your local solution for hiring quickly and efficiently. We’re your local IT staffing experts for Deerfield and beyond. Our team serves the city of Chicago, the surrounding suburbs, and the Greater Milwaukee area. We have a pulse on the market, and if you want to take your growth plans to the next level, use our team to help you get there. We focus on recruiting the talent and staffing the culture of your organization so you can focus on driving it forward. Contact us today to start your search for the perfect culture-matched candidates.